Wear a ponytail for a chic look.Ponytails will never go out of style and can be worn for formal or casual events. 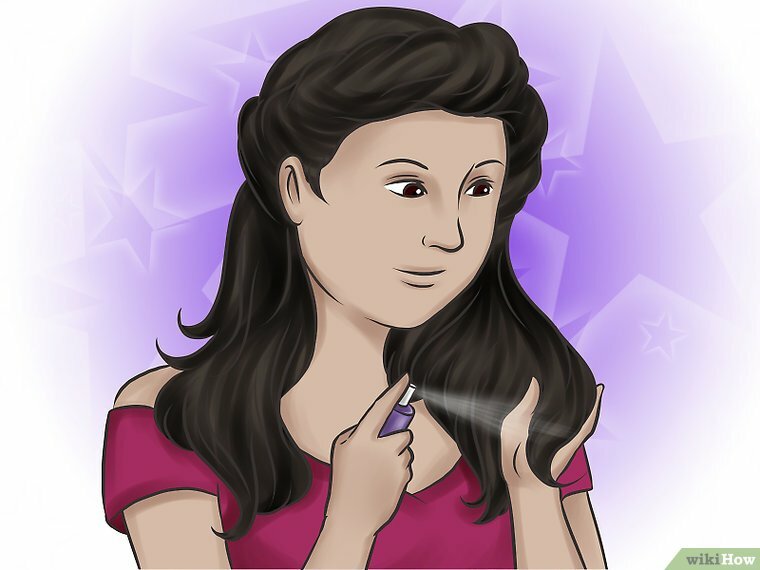 They are also functional as they will keep your hair away from your face, and stay in all day long. All you need is a brush, hair-tie, and a few minutes. Decide on the height. 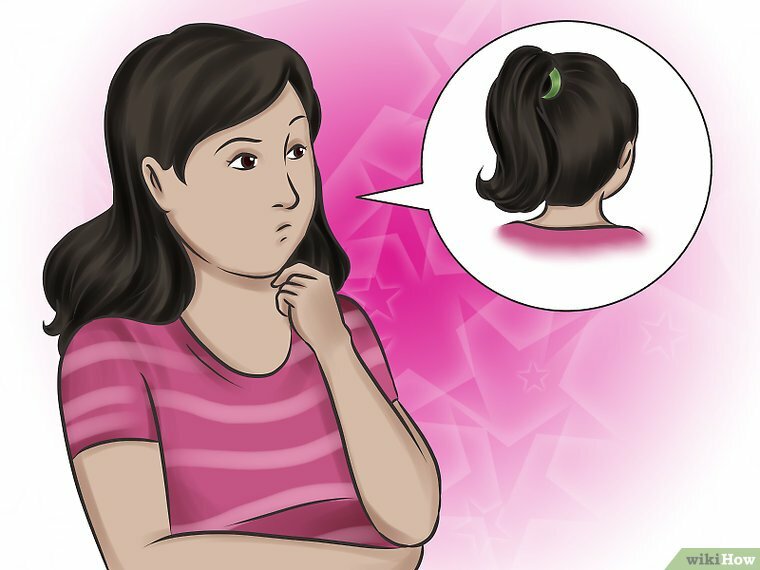 You can wear your ponytail high, low, or right in the middle. 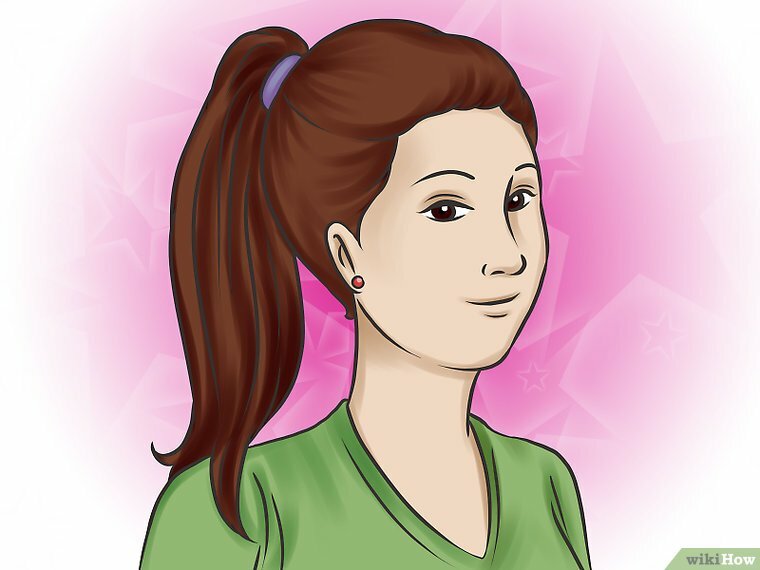 The decision is based on your preference.Make a low to mid level ponytail by brushing all of your hair straight back and holding it in one hand. 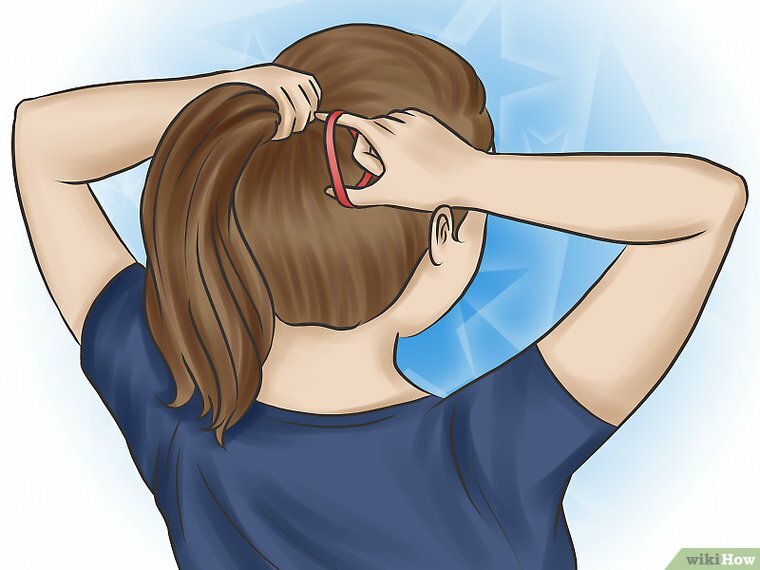 A fine tooth comb works great for smoothing out your hair once you already have it brushed back.Make a high ponytail by flipping your head upside down, and gathering your hair in your hands. 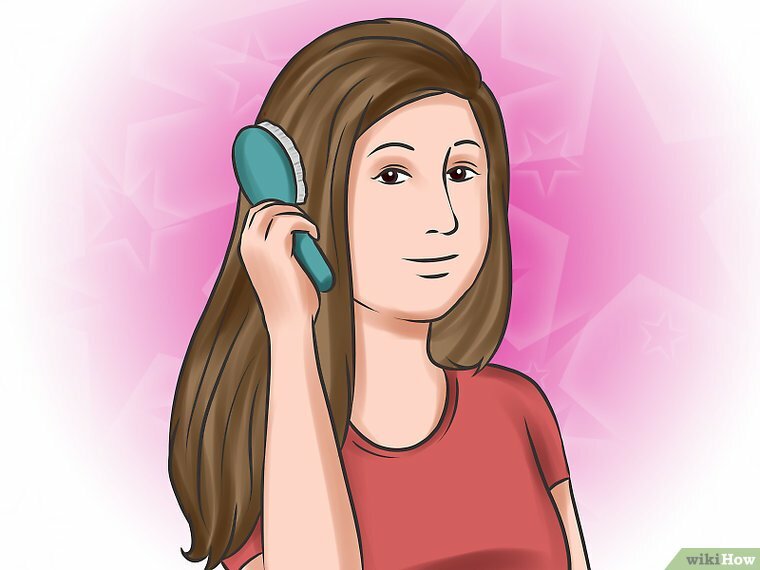 Use a brush to smooth your hair out on your head, and flatten any bumps. When you have it at the right height, pick your head back up, and check it for bumps. 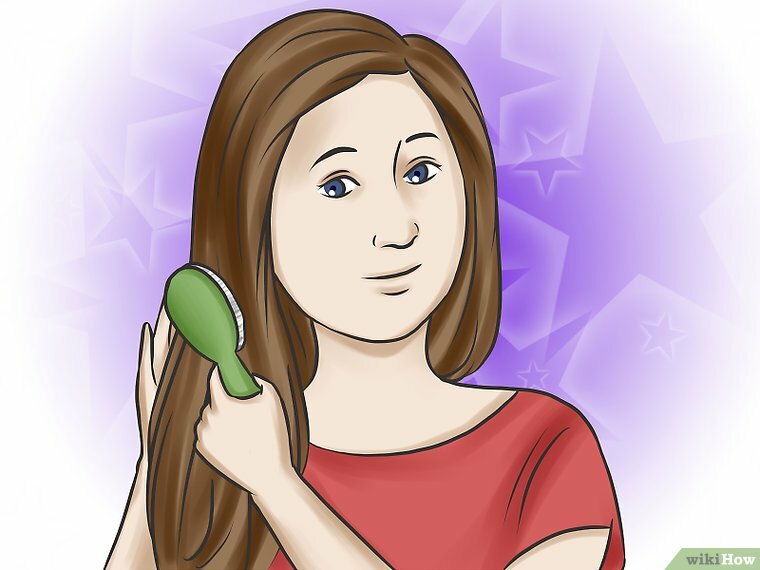 If you do have uneven hair, use a comb to smooth it out. Tie it into place. 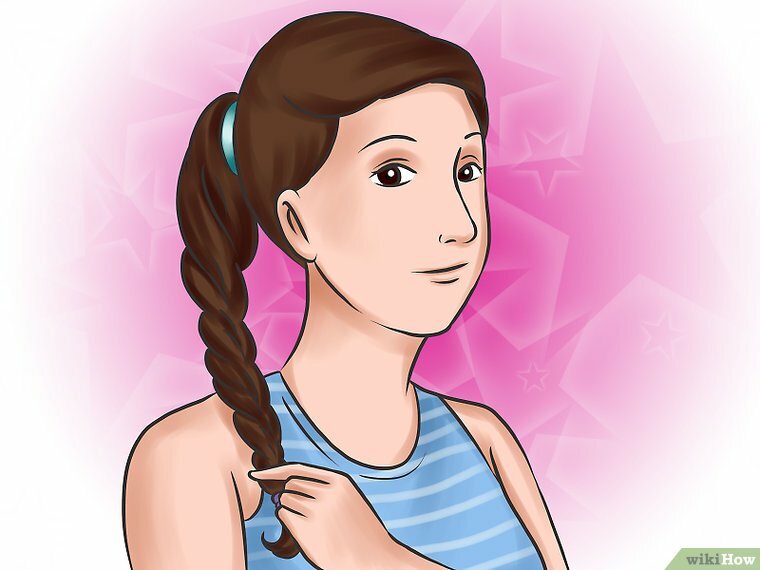 Flip your hair through the hair-tie, and tie it around your hair two to three times. 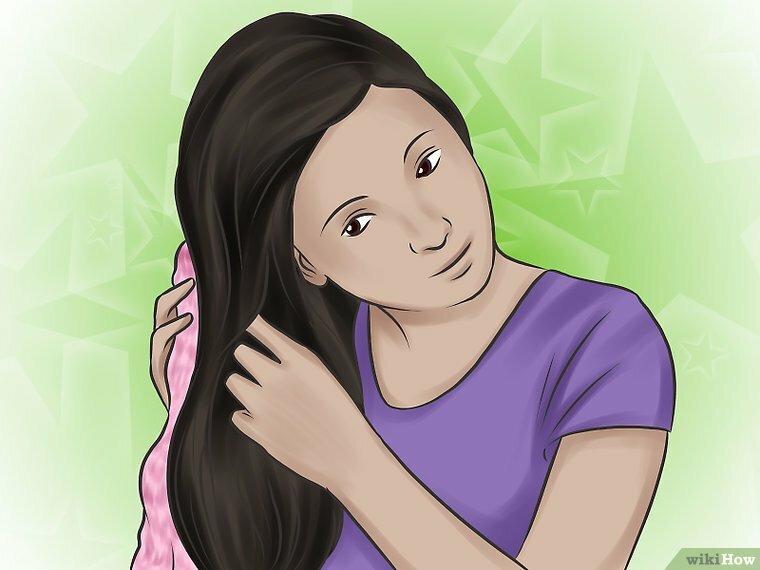 The amount you wrap the tie around will depend on your hair type as well as the thickness of the elastic tie. 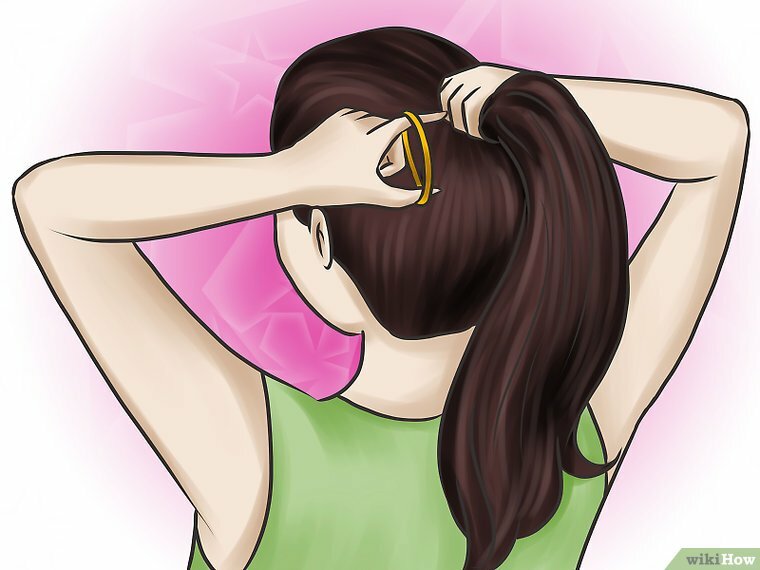 Just be sure that your ponytail is tightly secured.Use hairspray to help hold your hair in place, and prevent any split ends from sticking up.Try using an elastic hair tie that advertises as being damage-free. 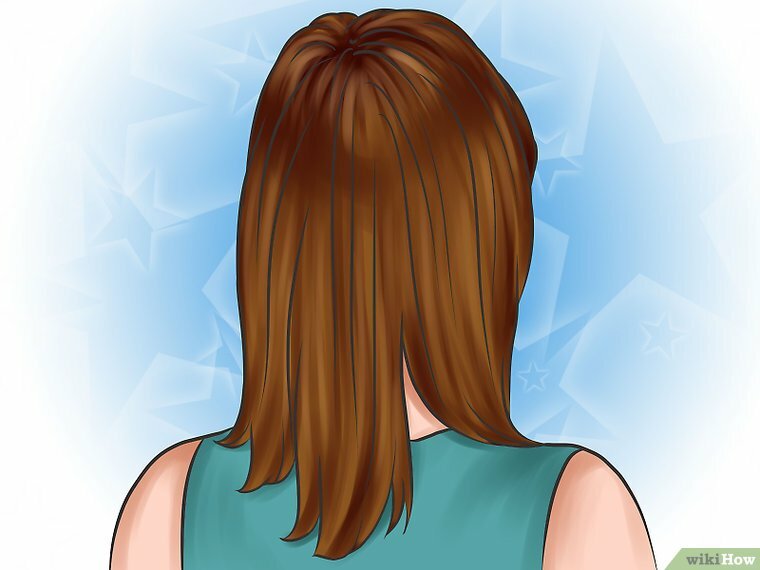 This will help protect your hair from breakage. Create a doughnut bun for a sleek look. This requires very little time, and it looks very pretty. 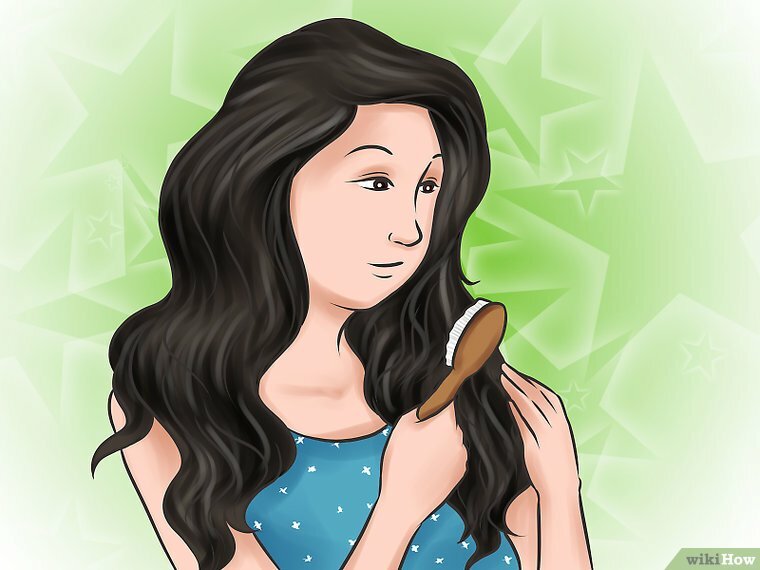 All you need is two hair-ties, a brush, and a doughnut form accessory. If you do not have a doughnut form accessory, you can use a sock.Make your own doughnut bun with a large, stretchy tube sock. Cut off one inch at the end of the sock, and roll it up. Then, roll the sock down toward the bottom edge so that it forms a doughnut shape. 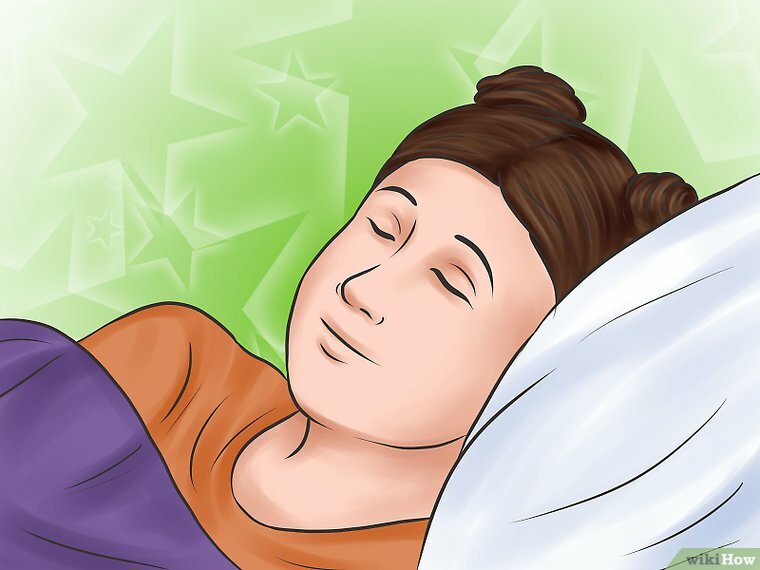 It should be rolled tight and be even all the way around.You can find doughnut forms in the hair accessories section of most drugstores. They are sold in blonde, brown, and black colors so you can find one that best matches your hair. 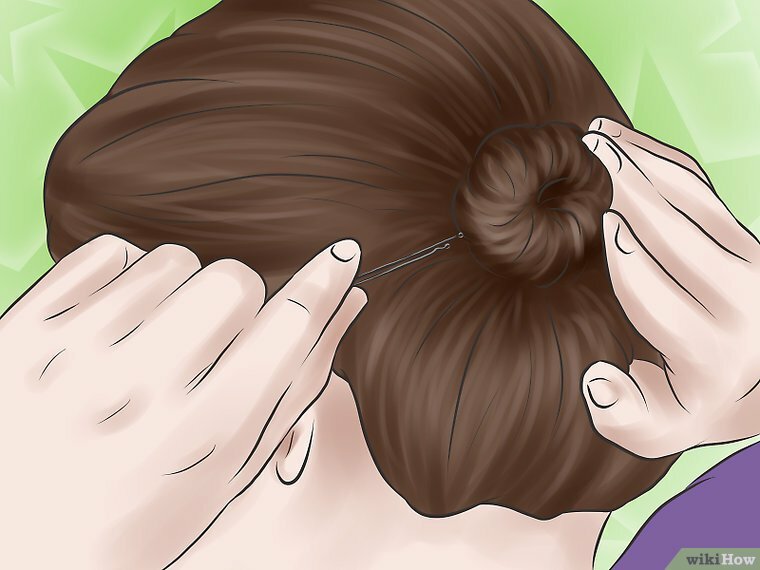 Tie your hair into a ponytail. 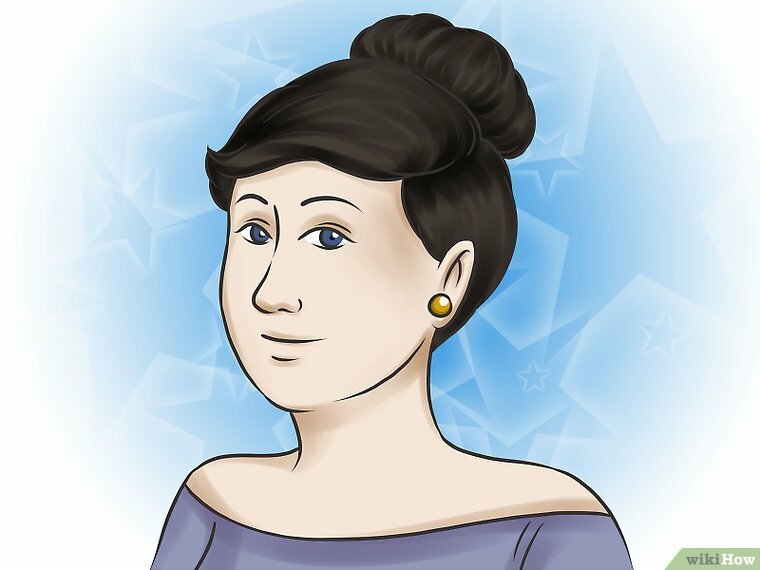 Doughnut buns look good high or low, so the height of your ponytail is up to you. 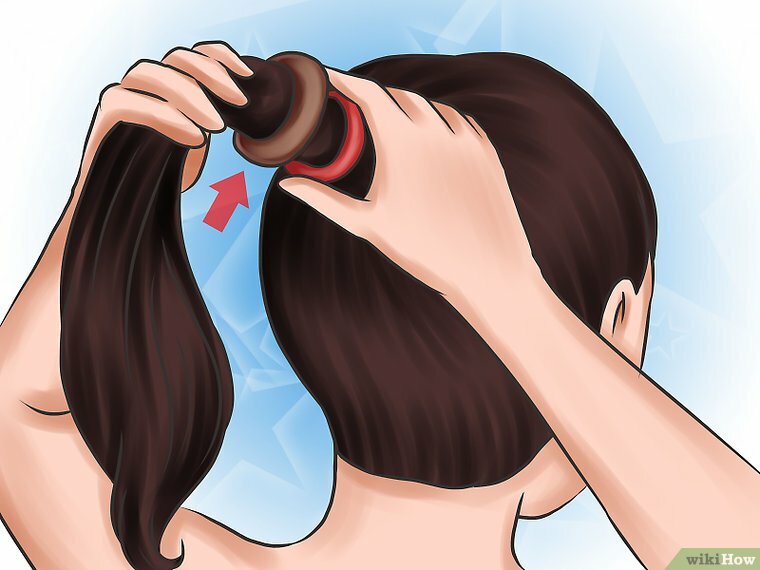 Be sure to smooth out the hair on your head, and make the ponytail tight.Use a fine tooth comb to help smooth out your hair into the elastic. 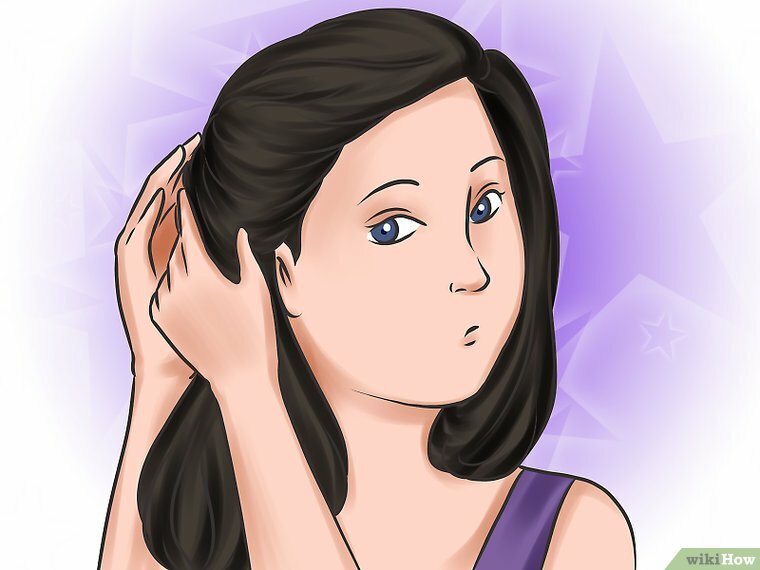 If you prefer a looser, messier look, then do not pull your hair back as tight.Consider spraying your hair with some hair spray to help hold your hair in place, and smooth it down. Bring your hair down around the doughnut form. 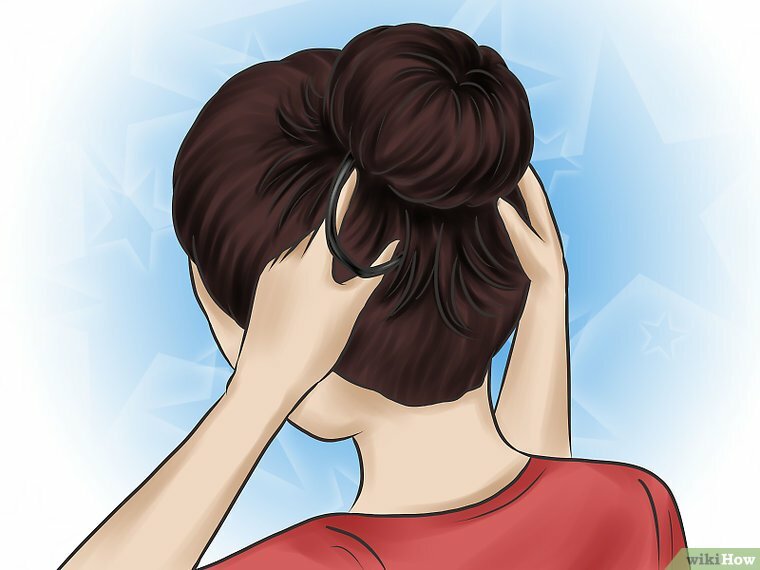 Start by pulling your ponytail up, and letting it fall evenly around the form. 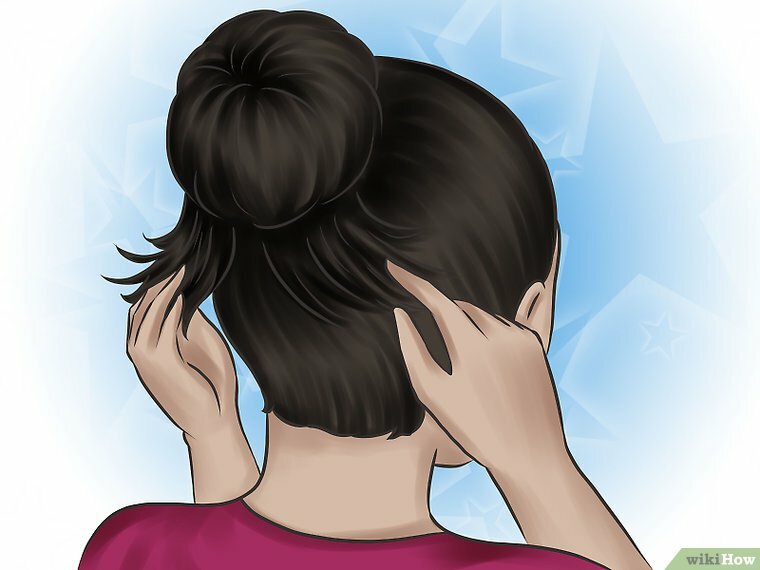 You should not be able to see the form peaking out through any hair gaps. 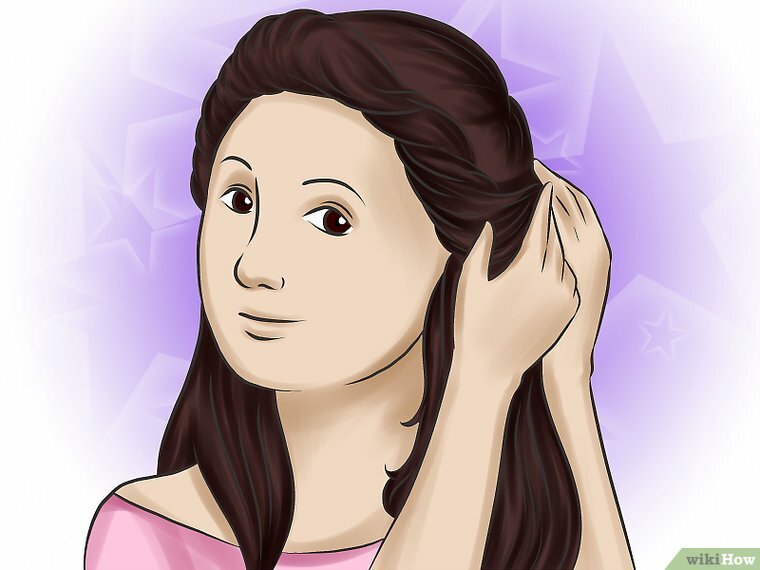 Once you have fully covered the form, wrap the ends of your hair around the form, twisting all of your hair in the same direction. 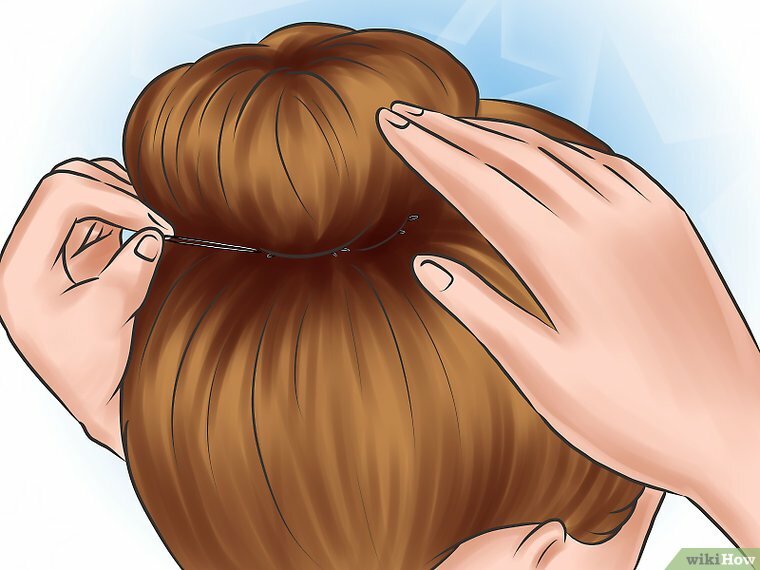 The ends of your hair will create a hair ring around the base of your bun.If you find it hard to completely cover the form or sock, try using a smaller doughnut accessory that your hair will more easily cover. 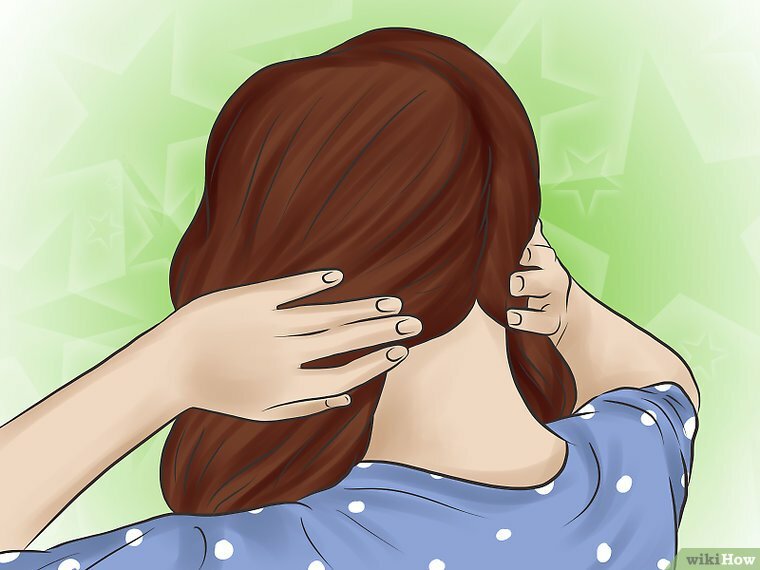 Wash your hair, and let it partially dry.Once your hair is about 80% dry, add in a bit of hair mousse or another volume stabilizing product of your choice.Carefully spray about a quarter size of mousse into one of your palms. 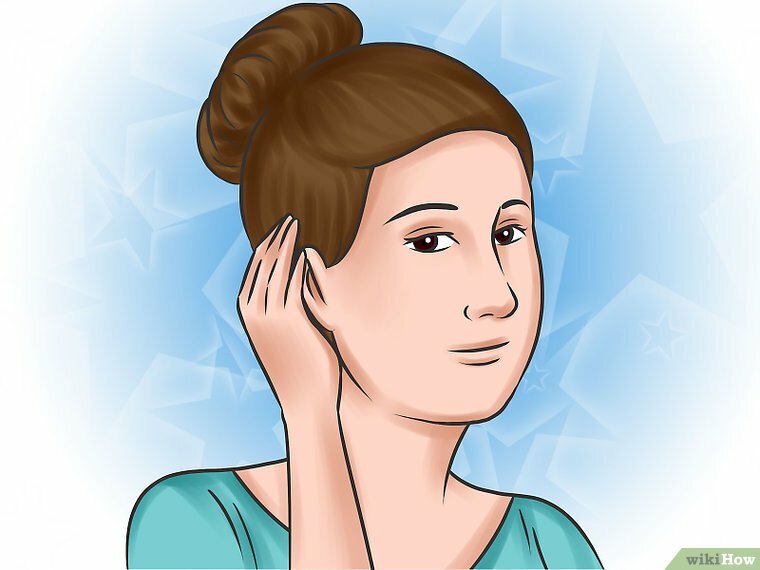 Mousse expands quite a bit once it is out of the can, so try not to spray too much.Rub the mousse between your palms, and then spread both hands through your hair. 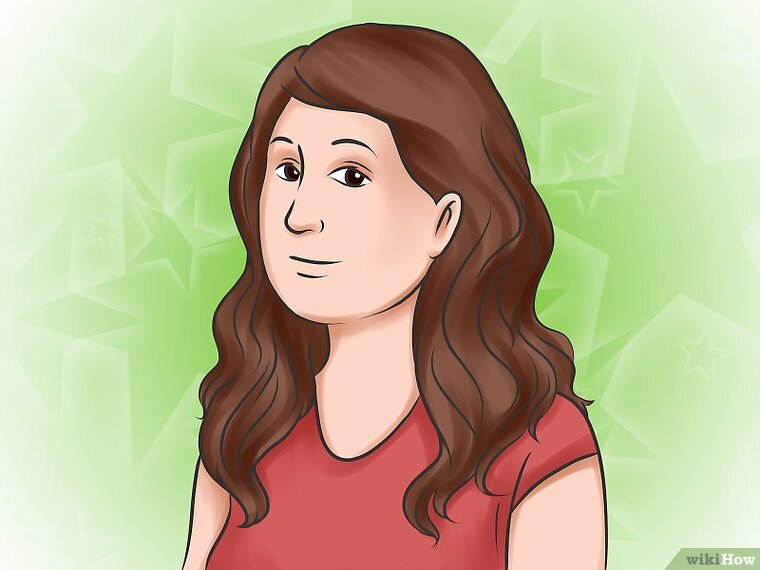 Start at the root, and bring your fingers down through your hair to the ends. Be sure to evenly cover all of you hair. Twist all of your hair. 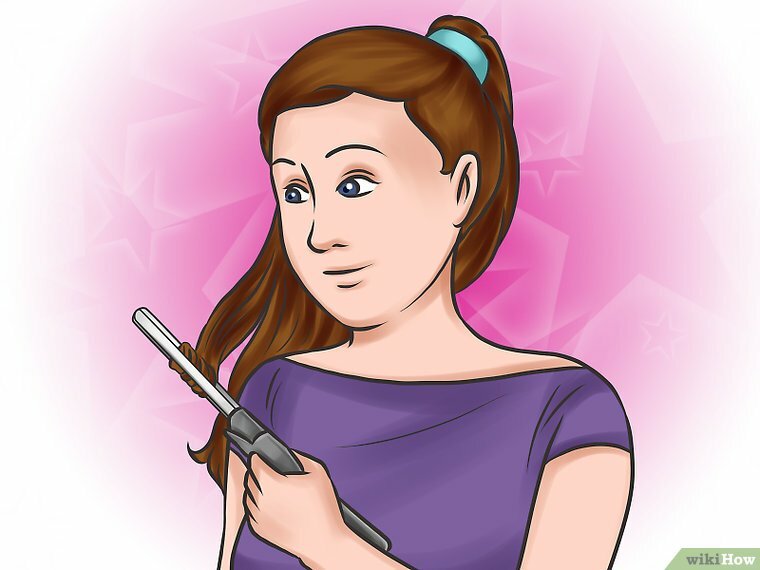 Make sure that you twist the hair on the inside of the twists. 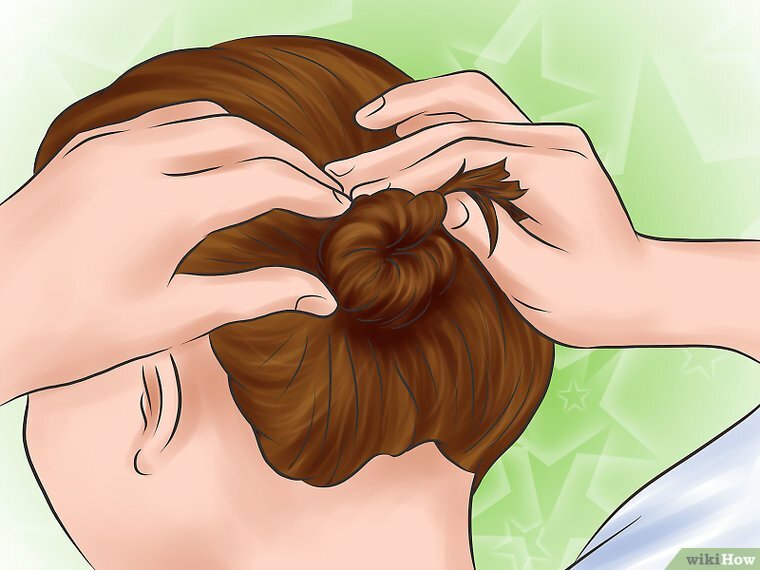 You can do this by coming your fingers through your hair as you twist. 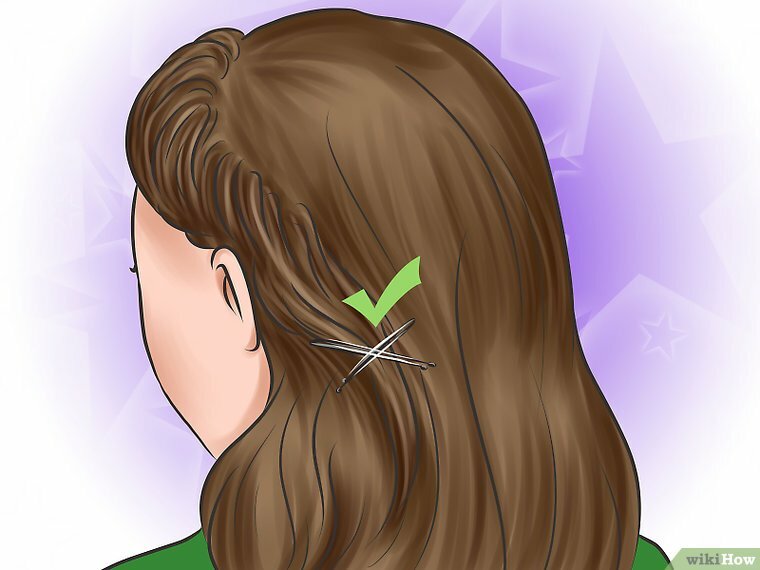 Simply twist the section of hair around, pulling your fingers through as you do, and then remove your twisting hand, and hold the hair section with the opposite hand in place. 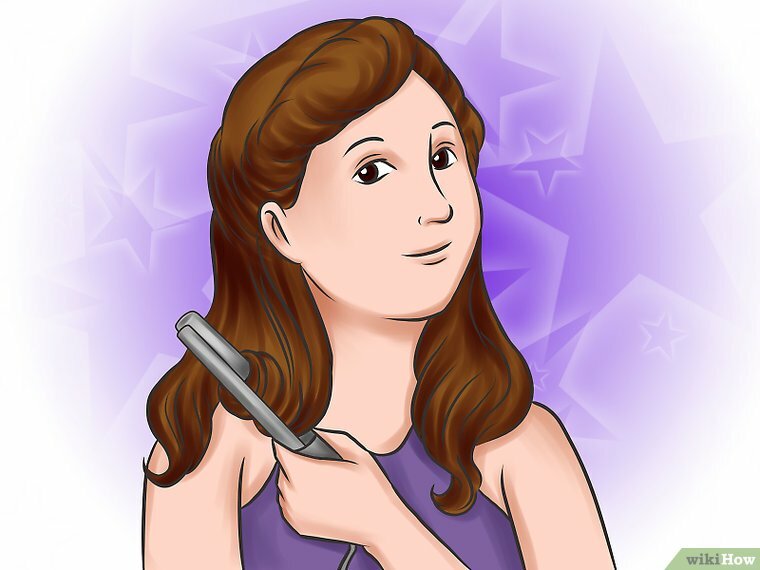 Then, repeat the twisting process until you have twisted all the way to the ends of your hair.You will twist each section separately, but in the same direction. So both sides either need to be twisted away from your face or towards your face. 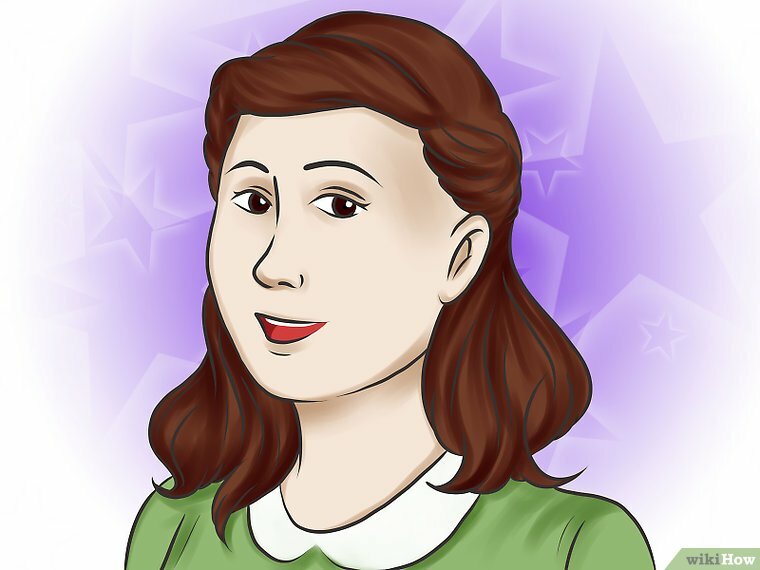 REALHITZ.COM's mission is to help people learn, and we really hope this article helped you.  Now you are helping others, just by visiting Realhitz.com .